Litton signed a reserve/future contract with the Chiefs on Tuesday, according to the NFL's official transaction log. 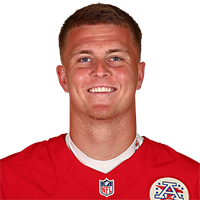 Analysis: Litton signed with the Chiefs last May after going undrafted out of Marshall and spent the 2018 season on the team's practice squad. Chad Henne is under contract for 2019 and is likely to once again serve as Patrick Mahomes' backup, leaving an uphill battle for Litton to make the 53-man roster next year. There are no videos available for Chase Litton. Click here to view all videos.